Lexington is the second most populated city in Kentucky, with approximately 271,000 residents. Lexington lies in the state’s famous Bluegrass Region in Fayette County. Lexington is often called the “Horse Capital of the World,” and will host the FEI World Equestrian Games in 2010. The Kentucky Horse Park, Red Mile race course, and Keeneland race course are based in Lexington. 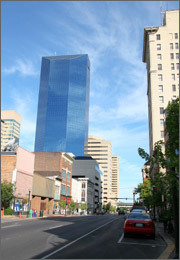 In addition, major corporations, including Affiliated Computer Services and Lexmark International, call Lexington home. Lexington is also home to the University of Kentucky and has been named one of the ten most educated cities in the nation with a population over 250,000. A recent University of Kentucky study showed that the Kentucky Penal Code may be largely to blame for the state’s overcrowded prisons and strained budget. According to the report, the state’s repeat offender law was originally intended to apply only to the worst offenders; however, lawmakers have continually expanded the scope of the law, and as a result Kentucky’s corrections budget is suffering. The president of the Kentucky Association of Commonwealth’s Attorneys stated that his organization does not believe that Kentucky’s repeat offender law should be limited to serious or violent offenders, and repeat offenders should suffer additional consequences. There are over 1,000 Lexington lawyers, and they specialize in varied areas of law, including criminal law, family law, and bankruptcy law. If you are involved in a legal dispute, how can you find a pre-screened lawyer to meet your individual needs? LegalMatch’s free lawyer-locating service makes the process simple. By taking about 15 minutes to explain your problem to LegalMatch.com, you will be on your way to finding the best lawyer for your case. First, LegalMatch.com will locate Lexington lawyers who can guide you through the Kentucky Court of Justice and the Fayette County District Court. After communicating with these lawyers, you will ultimately choose which lawyer to hire. You can also get answers to certain questions before even speaking with a lawyer by exploring our Legal Center.